With the increased accessibility and security of modern mobile devices, mobile banking has surged in popularity as a convenient and safe way to monitor your accounts — no matter where you are. 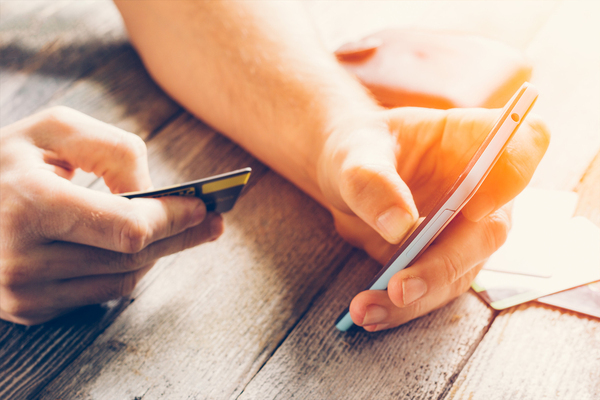 More and more banks are offering this access as a free benefit to your checking account, yet despite all of this growth, you may still be hesitant to use mobile banking. Don’t miss out on the myriad of benefits you’ll get with these five reasons to love banking on-the-go. You want to check your bank balance to confirm a check has cleared, but you’re nowhere near your computer. That’s where mobile banking comes in. With the ability to access your account from anywhere, you can answer your question and verify your spending in mere minutes. Plus, having your bank’s app on your mobile device means you can get banking alerts immediately, so you’re always prepared for any issues that arise. Check balances, confirm activity, make payments, and even transfer money securely, no matter where you are. It may seem counterintuitive that your bank’s mobile app is more secure than other methods of accessing your account, but it’s true. Mobile apps have different heightened security measures that are continually being updated to fend off hackers, and if your phone is ever stolen, apps are designed so that a thief won’t have access to your information. That being said, it’s in your best interest to always access any personal information over a secure network. Are you having trouble keeping an eye on your spending? Set up account alerts to verify spending over a certain amount directly through your bank’s mobile app. Since you can check your accounts from anywhere, you can verify that you are always spending within your means. With a simplified layout of all of your transactions, you can also quickly locate deposits and account credits in addition to your current spending, ensuring that all transactions update to your account. Use your bank’s mobile app to help you keep your spending under control. Finding a bank branch can be a headache, so now most mobile banking apps will allow you the ability to deposit your checks up to a certain amount directly through the app. By taking pictures of the front and endorsed back of the check, the bank can verify and process the credit quickly. Keep in mind that you may have a daily or monthly limit on the amount you can deposit through the mobile app. There is nothing worse than losing a debit card when you’re traveling, or finding out that you may be the victim of the growing threat of identity fraud. With mobile banking, you can connect to your bank immediately through their app. Rather than fumbling to find a computer or locate phone numbers or email addresses, you can log right on and start addressing the problem no matter where you are. Don’t miss out on all of the benefits of mobile banking, and find an account that will let you take your banking needs on-the-go at no additional cost. Learn more about Northpointe Bank’s UltimateAccount and the freedom to manage your money as you want.